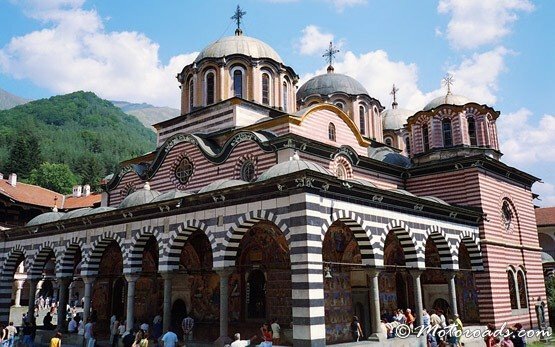 RILA MONASTERY » Rila Monastery was founded in the l0th century by the Bulgarian monk St. Ivan of Rila and was rebuilt in the l3th -l4th century. 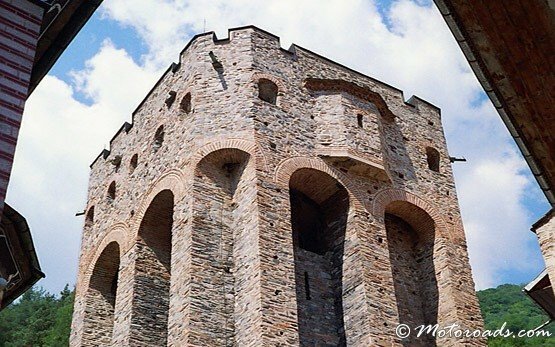 From that time are the fortress tower (1334), the bishop's throne, richly carved doors and some manuscripts, icon-paintings and church plates. 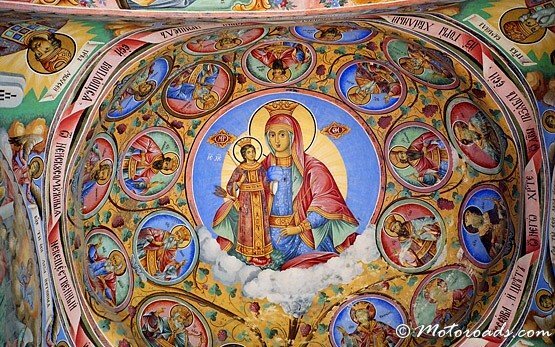 In the l5th century, when Bulgaria fell to the Ottoman Turks, the monastery was abandoned for a short time but in the second half of the same century it was restored to a new life. 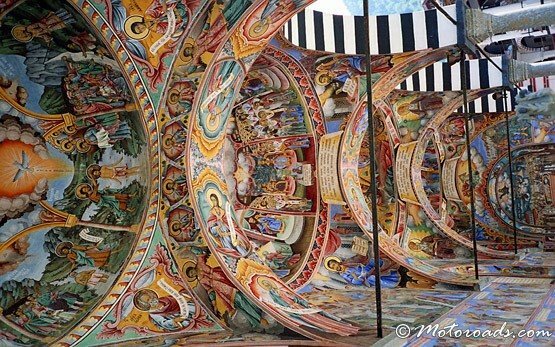 The Rila Monastery has been listed as a world monument of culture. 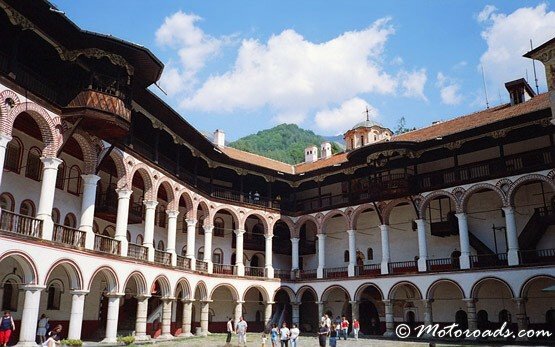 There is an interesting legend surrounding Rila monastery and its Saint, Ivan, who lived in the 10th century. After his parents' death, he gave away all of his material items, left his village and went to live in a cave in the Rila mountains. One can visit the cave today. Ivan lived without material possessions and grew healthier and stronger than he had ever been. 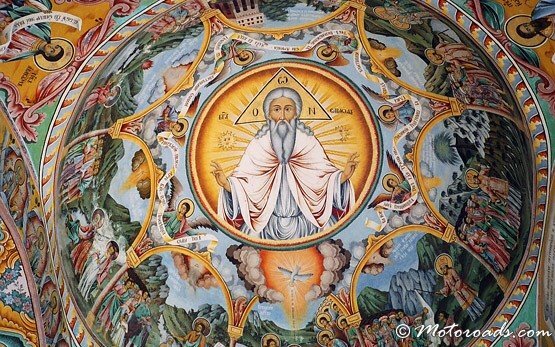 For many years people visited him in his cave when they were sick in order to be healed. Upon Ivan's death, his body was wrapped in a shroud and buried. His body did not decay, however, and all those that visited his tomb were cured of their sicknesses.